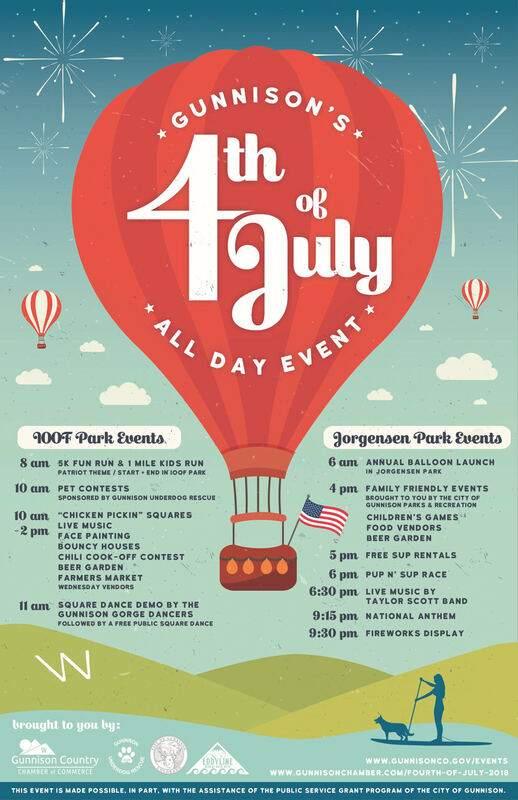 All day events planned for Gunnison this July 4, 2018. 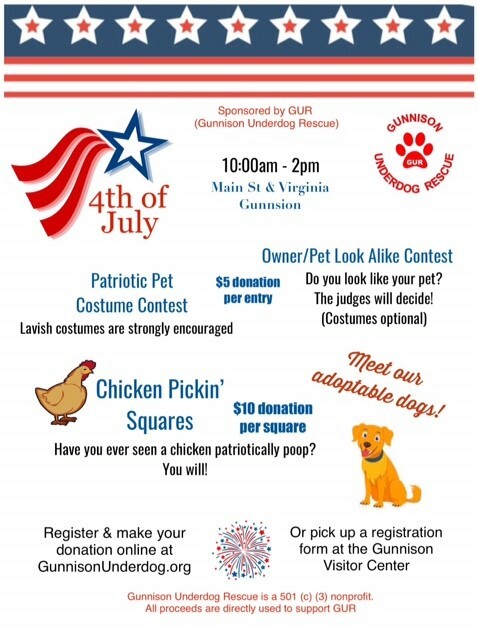 Use the registration forms for the pet contests - sponsored by Gunnison Underdog Rescue and for the Chili Cook-Off. 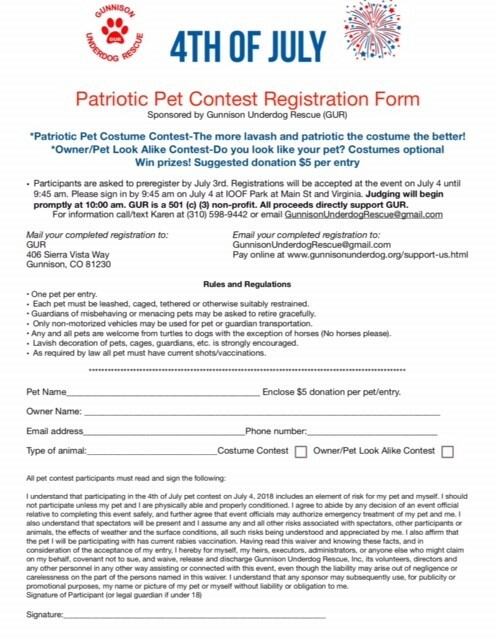 If more information is needed contact the Chamber at 970 641 1501.